We have a fully packed lineup for our May meetup consisting of Kamel Nebhi of Aieve Project, Eugene Morozov of Lab49 & Michael Grove of Stardog. 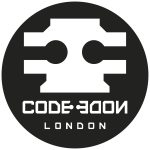 Stardog are kindly sponsoring the meetup with Skillsmatter hosting us in the CodeNode. Knowledge Graphs and Graph Databases have reached unprecedented levels of interest thanks to the efforts of Google, NASA and other innovators. 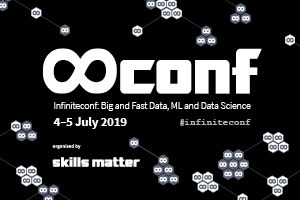 In this talk Michael Grove, cofounder of Stardog the leading Enterprise Knowledge Graph platform, will provide an introduction to the fundamentals of a Knowledge Graph, how they work and how they are different from graph databases. Michael has more than 15 years of experience in AI, Semantic Technology, and graph databases. Prior to Stardog, Michael performed research on the use of graph-based technologies in pervasive computing environments while at Fujitsu Labs of America. Michael is a graduate of the University of Maryland in Computer Science and an alumnus of its MINDLAB, a seminal research group in Semantic Web technology. Excel is being replaced by a plethora of literate programming tools such as Jupyter Notebooks, R Notebooks, Zeppelin and others. There is an opportunity to improve data processing by adding Semantic Web standards to the mix, and we'll look at some of the tools available to work with RDF in Jupiter Notebooks. Eugene is a Engineering Practice Lead at Lab49, a strategy, design and technology consulting company specializing in capital markets. He is interested in the use of Semantic Web standards to improve data and service modelling and data processing. He also runs Semantic Web London meetup. Peculium is the first Crypto-Savings platform that combines traditional savings, blockchain technology, cryptocurrency, and artificial intelligence. Indeed, Peculium is a platform that makes use of the AIEVE Artificial Intelligence technology to forecast the market price of several cryptocurrencies and giving real-time saving-portfolios advices. In this context, AIEVE is based on cutting-edge NLP techniques to extract semantic meaning and sentiment from large volumes of unstructured text from multiple sources such as social media or RSS feeds. Finally, all these techniques will help AIEVE to predict the cryptocurrency market with a higher level of accuracy to increase users savings. Kamel Nebhi is Head of NLP at AIEVE - Peculium, the first company providing an AI powered saving platform over blockchain. He has an experience as a Senior NLP Data Scientist at First Utility developing AI technology to improve the customer experience. Kamel has also worked at Oxford University Press as a Lead Language Technologist for the Oxford English Dictionary project.